Gymnast of the month is..
We have powered through the first quarter of the year, many competitions and many successes and now time to celebrate another success, our next gymnast of the month. Spelthorne gymnastics club holds classes for all levels and abilities. Some gymnasts attend for exercise, to have fun, others attend to partake in shows and others want to compete and achieve. This month we are focusing on a gymnast who continues to achieve and enjoys taking part in displays. She has shown all coaches her love and determination for the sport which in-turn has allowed her to progress to the Junior Advanced Squad. 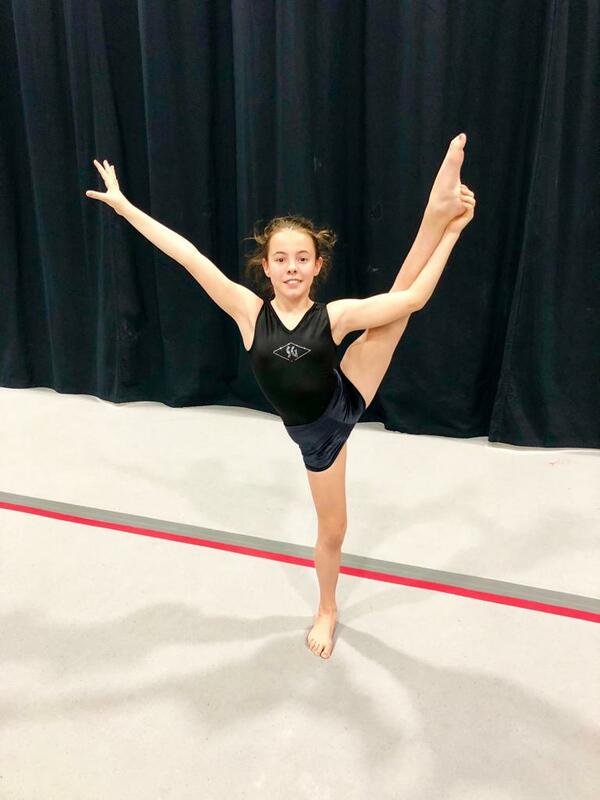 Training a few times a week and with a lot of hard work, this gymnast has now mastered her Roundoff Flick on the floor. The chosen gymnast is very polite, hardworking, a team player and a pleasure to teach. She gets on well with her team mates and brings an upbeat spirit. Lily Dixon is our gymnast of the month for March, she has picked up the choreography for her GymFusion routine really well and we cannot wait to watch her and the team perform! Congratulation Lily and enjoy the GymFusion experience!